I buy the Pictsweet three-pepper and onion blend at Walmart in a 22-ounce size and use half a bag. The one-ounce difference between what I’ve listed here and what I use doesn’t affect the recipe. 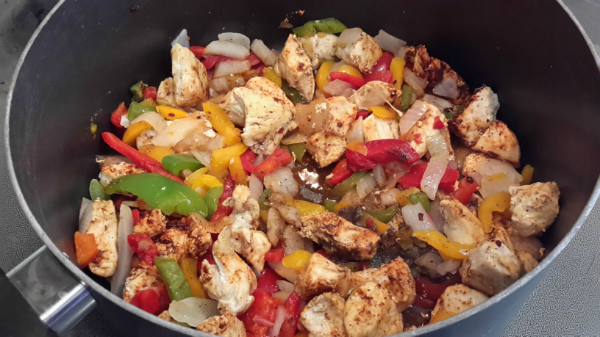 I’ve tried making the recipe with fresh onions and peppers. I didn’t notice much difference in taste, but it takes a lot longer to make the recipe. Plus, it’s more expensive, since bell peppers in yellow, red or orange cost more than green peppers. I’ve also made it with fresh green peppers, which is fine, too. 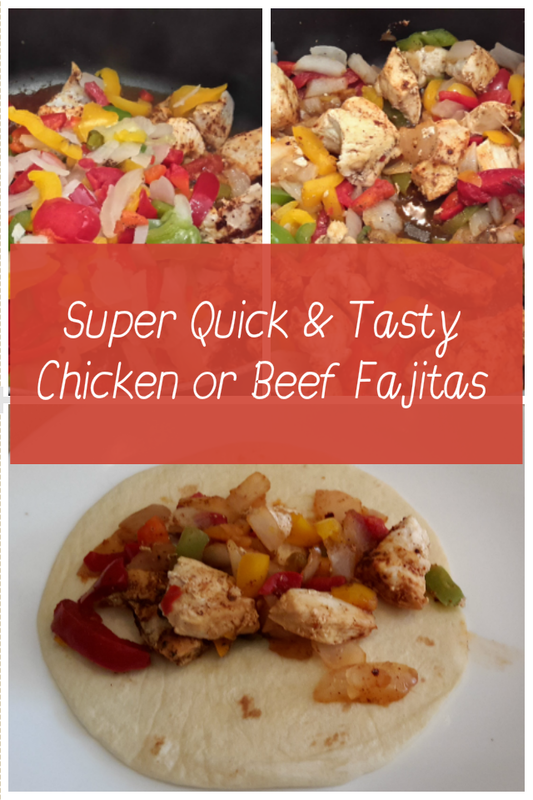 You can alternate using beef or boneless, skinless chicken breasts for these fajitas. Both taste fantastic. 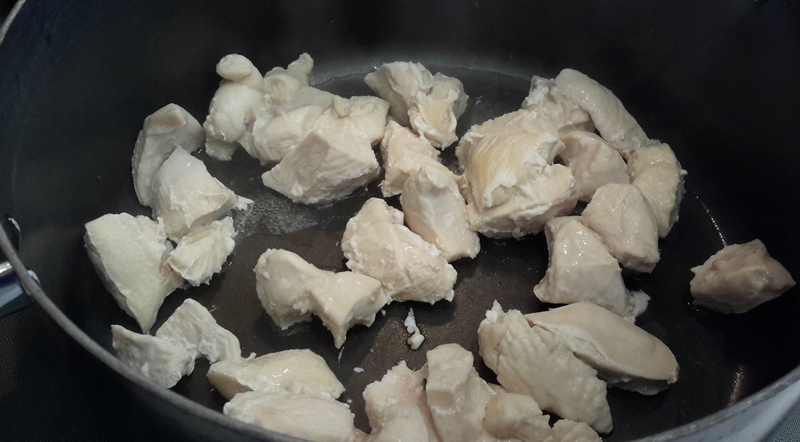 Spray a large fry pan or chicken fryer with oil and sautee the chicken or beef until cooked. 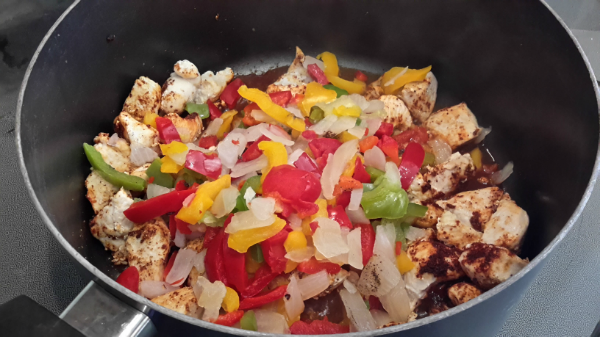 Add the thawed onions and peppers and cook for an addition 5 minutes or until tender. Stir in the spices until well blended and cook for another minute or two. Serve on warmed tortillas with your favorite fixings such as sour cream, shredded cheddar cheese, lettuce and tomatoes. 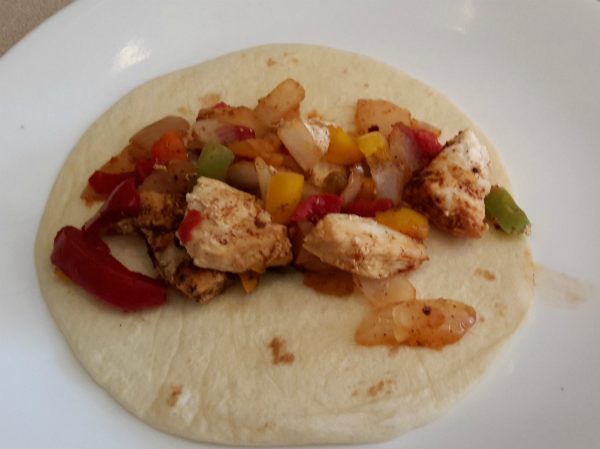 For a low carb option, eat the fajitas mix out of a bowl with some cheese and/or sour cream on top.